Travelers are voting California Lighthouse as the best lighthouse in Aruba. Want more? Check out our map of lighthouses in Aruba or this 1 lighthouses near Oranjestad. 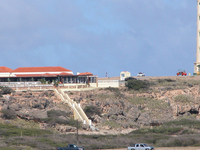 The California Lighthouse is a lighthouse located near Arashi Beach on the northwest tip of Aruba.